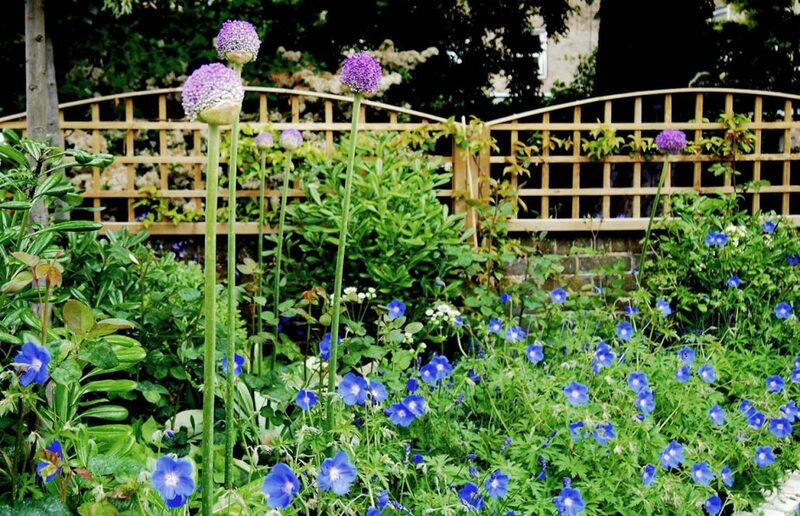 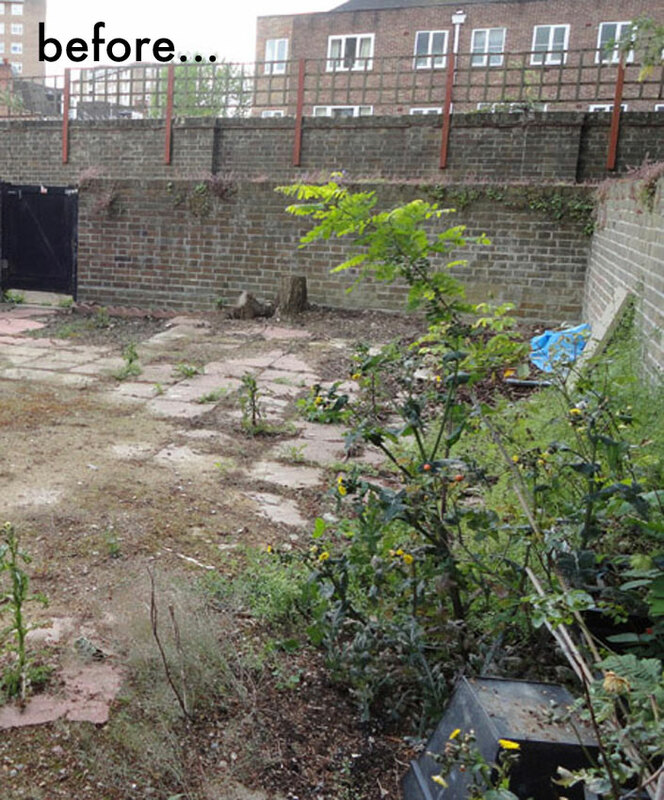 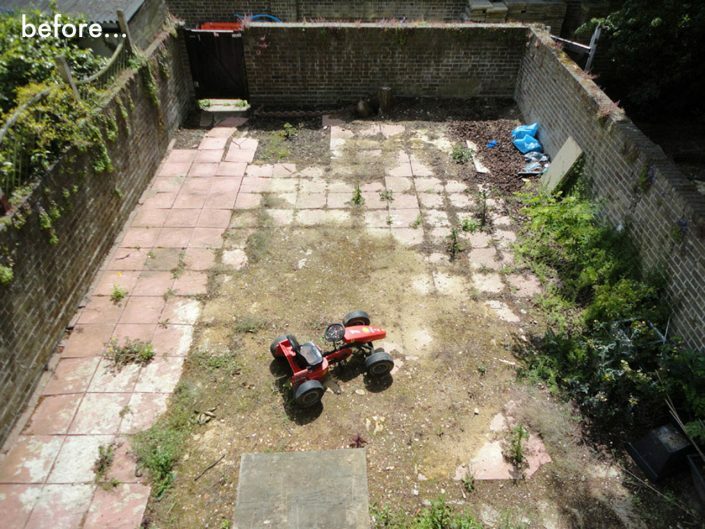 My clients had waited three years to have the perfect garden that they really wanted and had to put up with a concrete wasteland whilst they were looking for someone to turn this rather barren uninspired space into a soft romantic typically English garden. 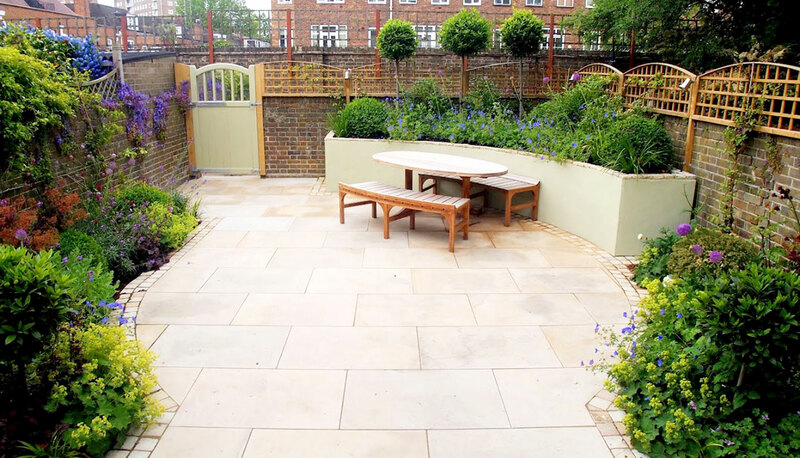 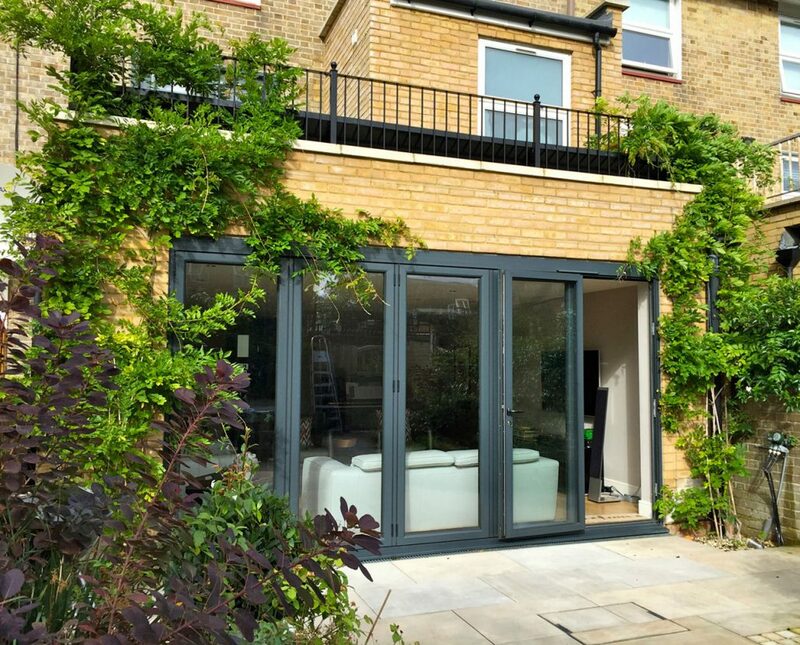 Their brief was to be able to relax & entertain with a seating area and a feeling of being surrounded by greenery whilst being in the heart of central London. 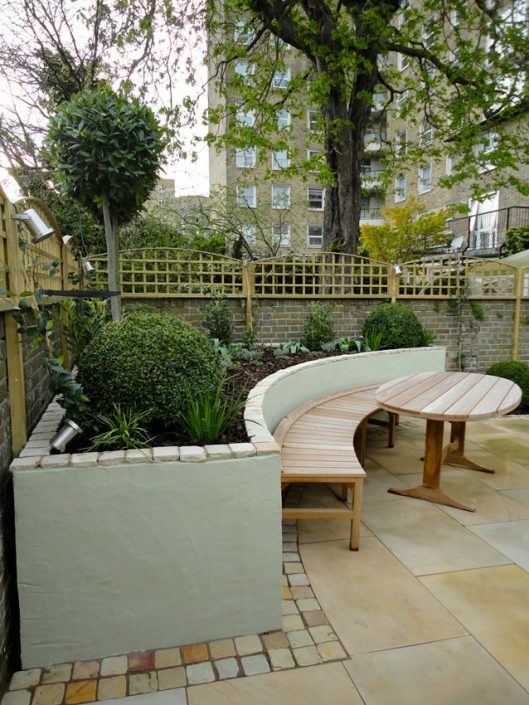 They requested soft charming curved lines and nothing too hard-edged or too ‘Urban’. 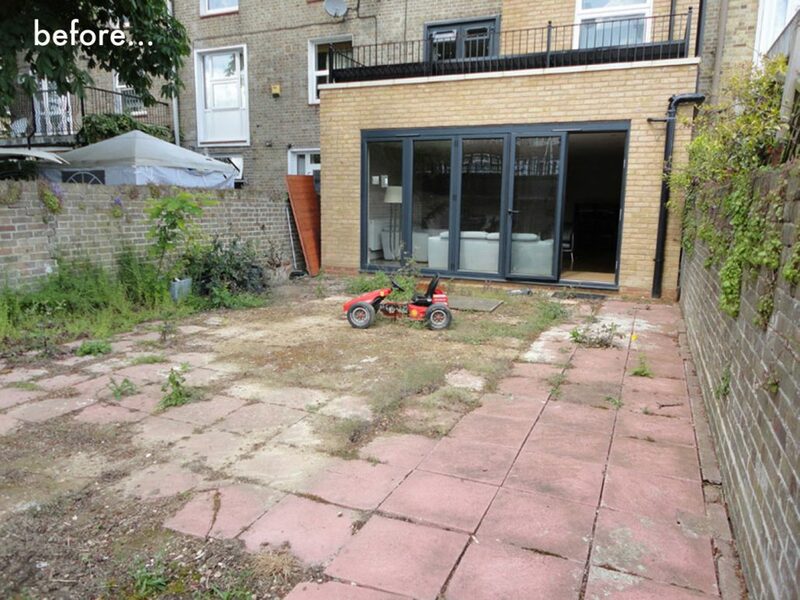 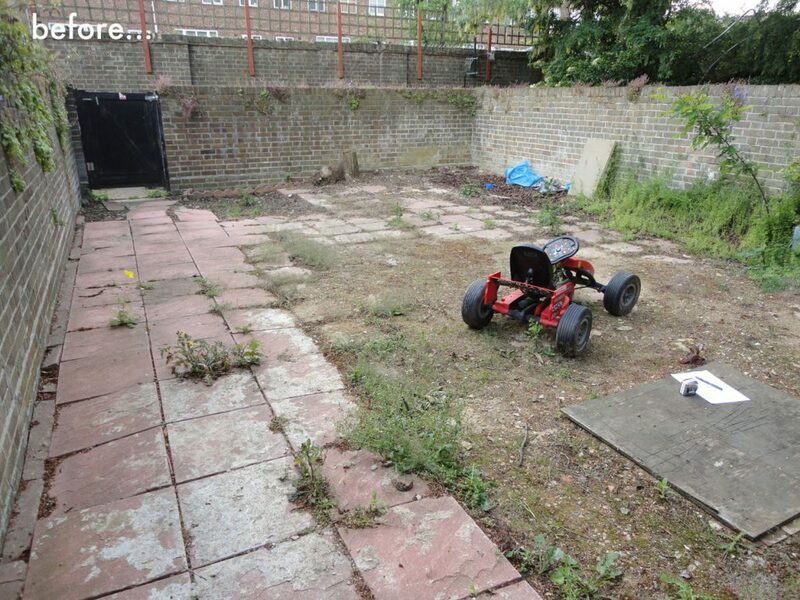 The garden also needed to be fairly low maintenance and keeping an open paved space for their little boy to ride around on his favourite racing car! 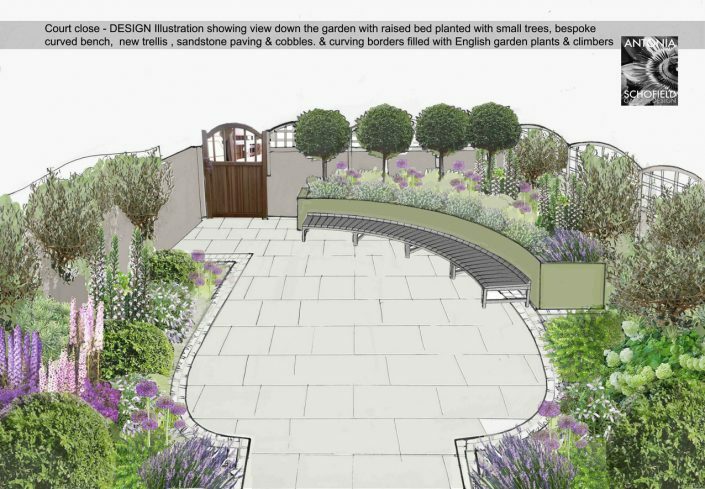 The design evolved around curves with the main focal point being a large elliptical raised bed to provide a backdrop for the seating, with curving secondary borders. 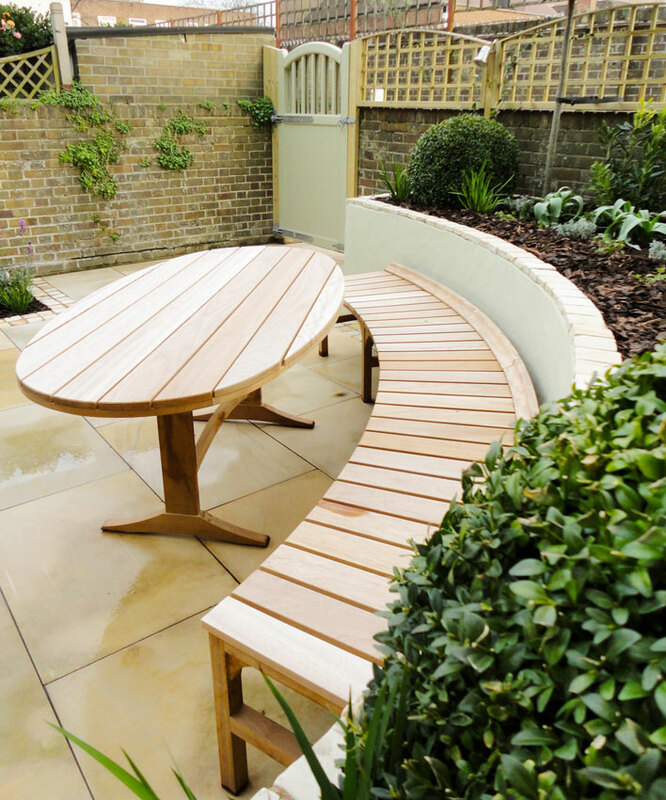 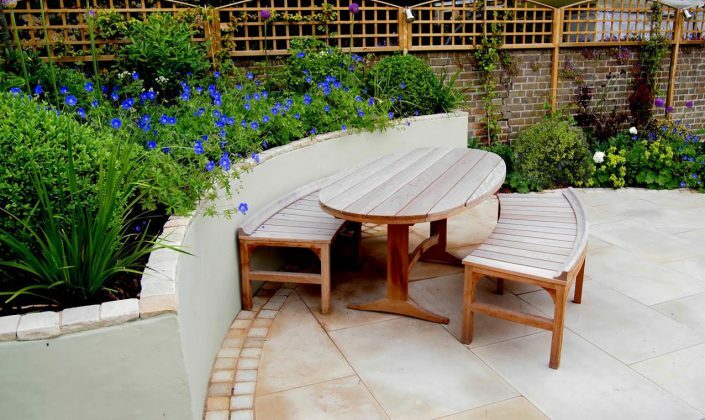 Having bespoke garden furniture made to fit exactly into the scheme further emphasized the soft curves. 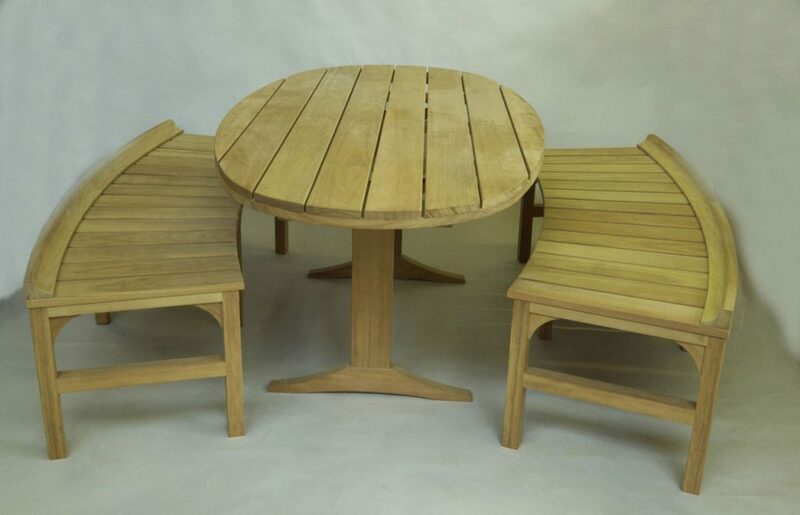 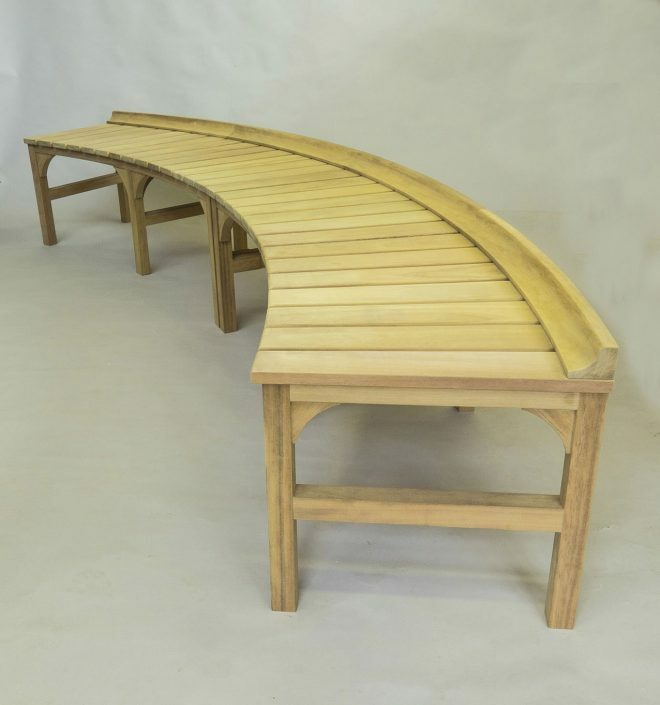 Artisan furniture makers were commissioned to create a curved bench and elliptical dining table to match in Iroko hardwood. 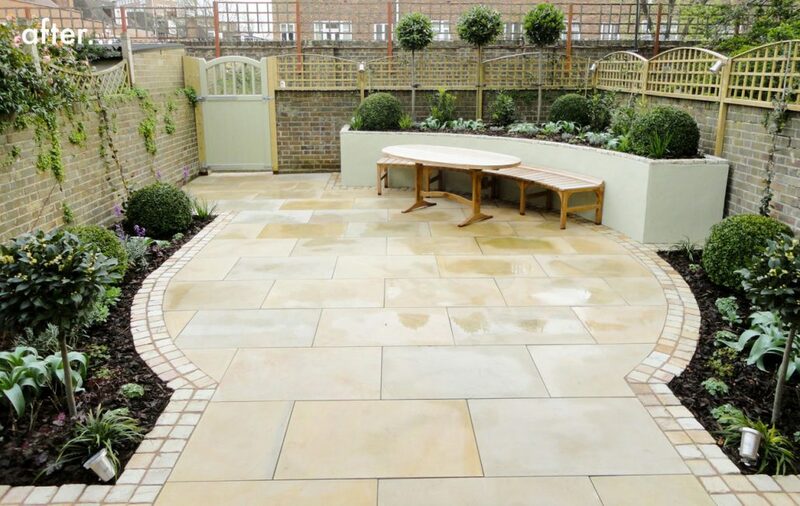 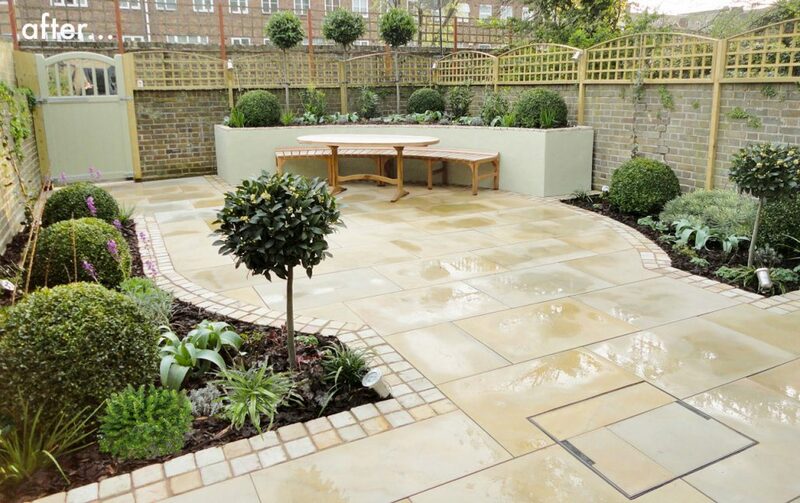 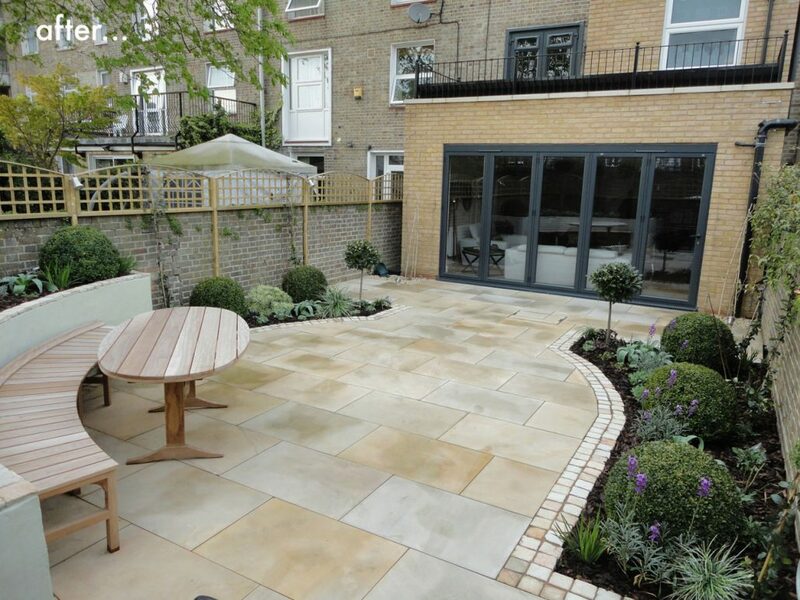 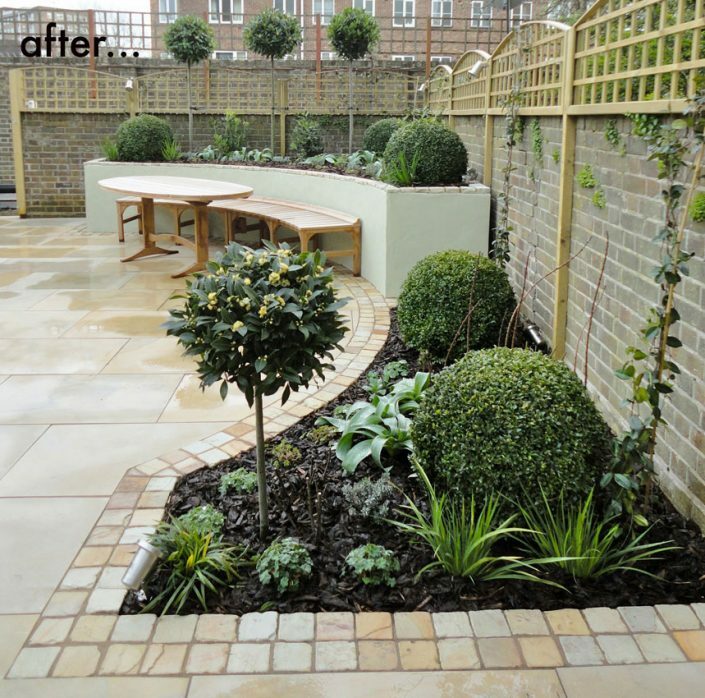 The hard landscaping also featured soft curving lines with a double border of sandstone cobbles to blend in with the soft buff tones of the sandstone of the new terrace. 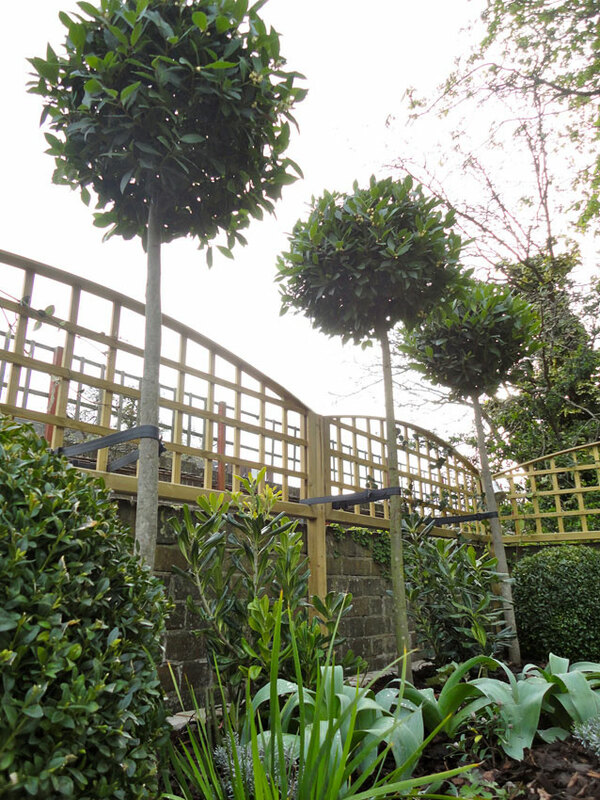 More curves were added with a curved top gate with trompe l’oeil mirrored window effect, and curving trellis panels. 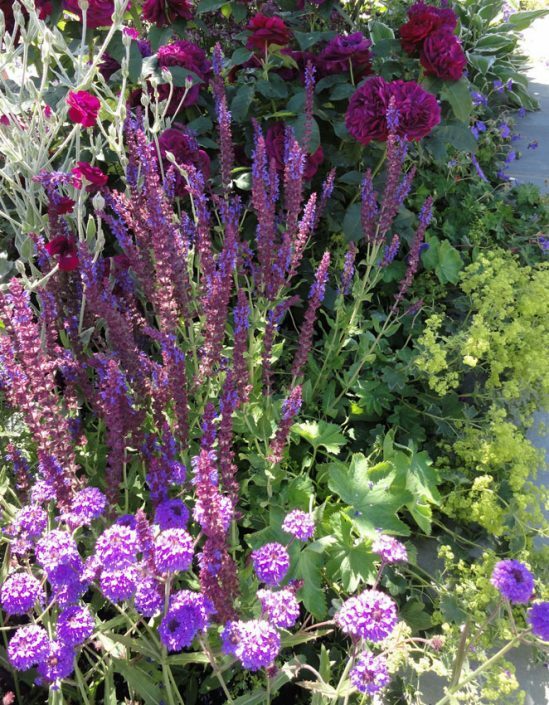 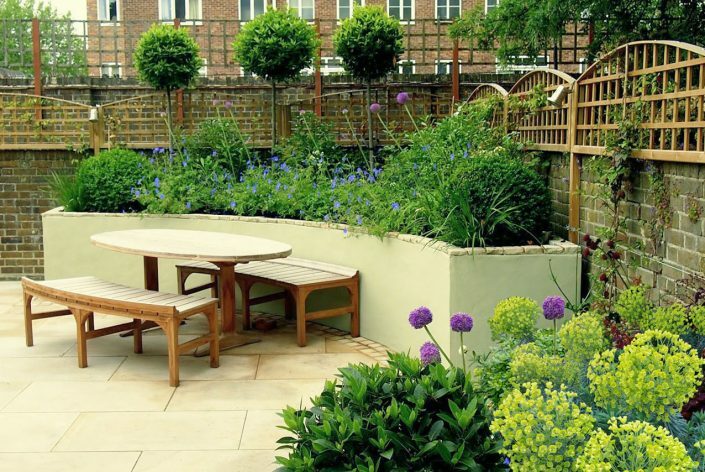 Up lighters add drama for evening entertaining and an irrigation system helps maintain the plants. 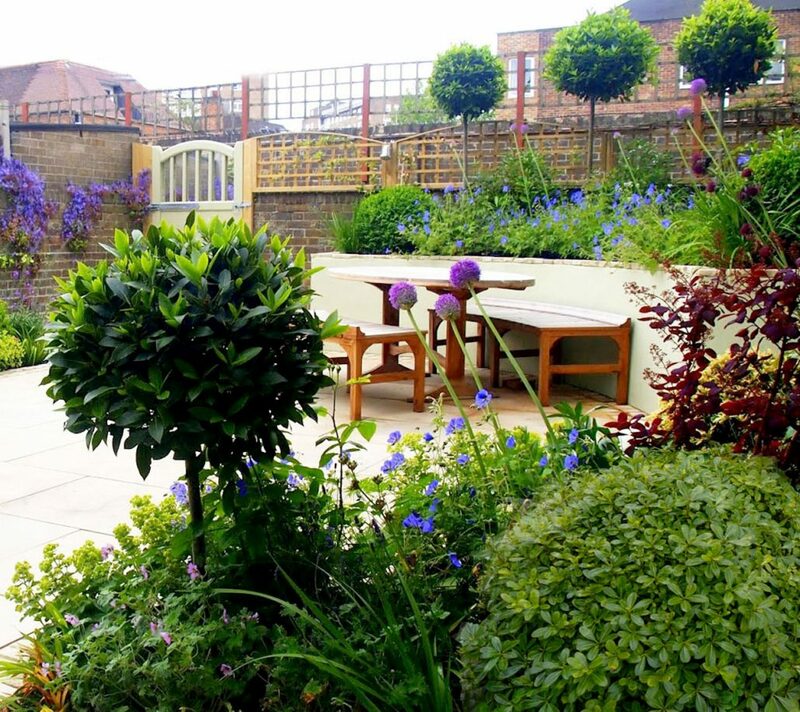 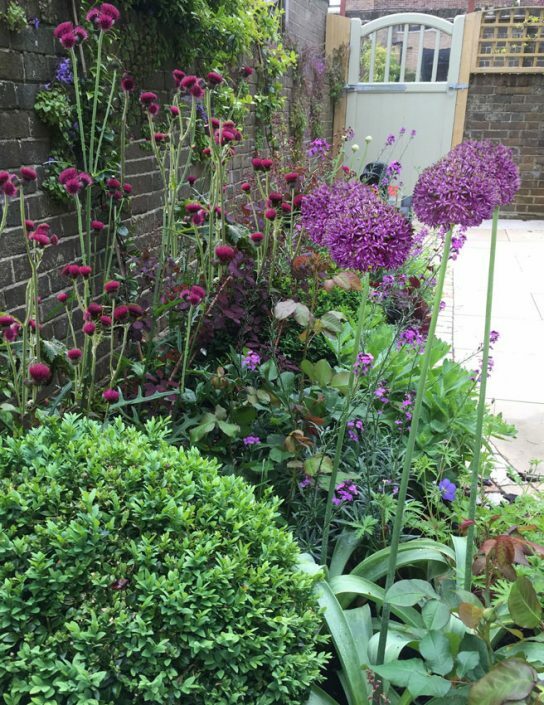 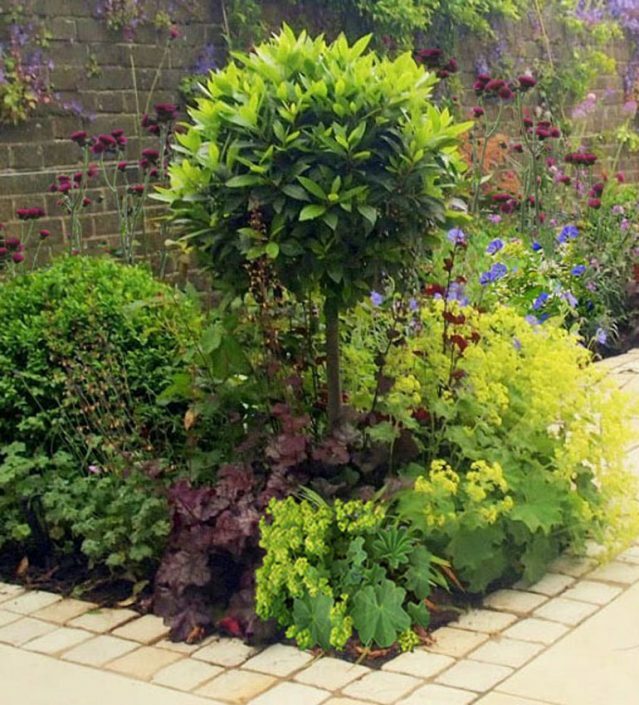 Keeping to the curved theme and the clients wishes for classic ‘English’ garden style – large box balls and lollipop standard Bay trees provided the structure and add height to disguise the urban scenery. 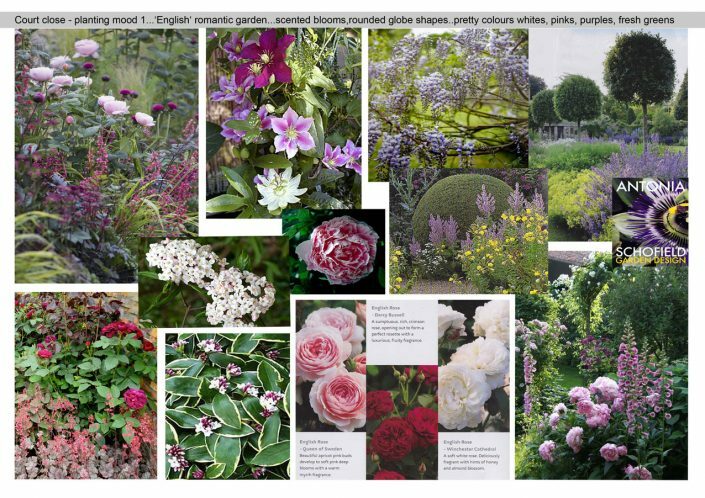 As the space is a ‘walled’ garden on all sides and facing due south, the scheme features many scented flowering plants such as wisteria, jasmine, roses, lavender, and peonies to fill the air with their glorious perfume.